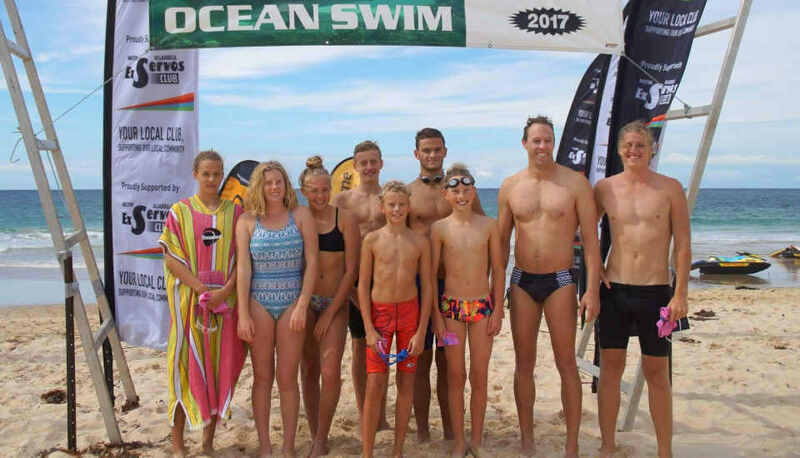 The local Margaret River – Prevelly swim group call themselves the ‘Sea-Slugs’. 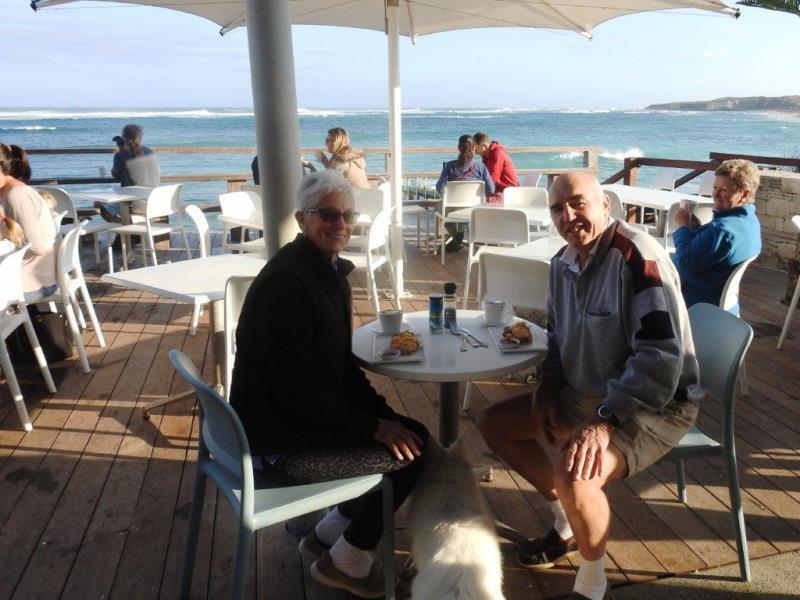 They number about 12 or so and meet at 7.30 am and ocean swim every day of the year followed by coffee at the cafe located at the ‘Boat-Ramp’. (The ‘Boat-Ramp’ is where they start and finish their daily swim). Winter temp. low gets down to 15c, presently about 20c. Ocean swimming is quite big over here. The weekend we were in Albany they had there annual 4 Km across the harbour swim on the Saturday with 150 competitors, next day was the Denmark Ocean swim north of Albany. (Generally speaking, us in the Eastern states are possibly only familiar with the annual Rottnest Island ocean swim in WA). 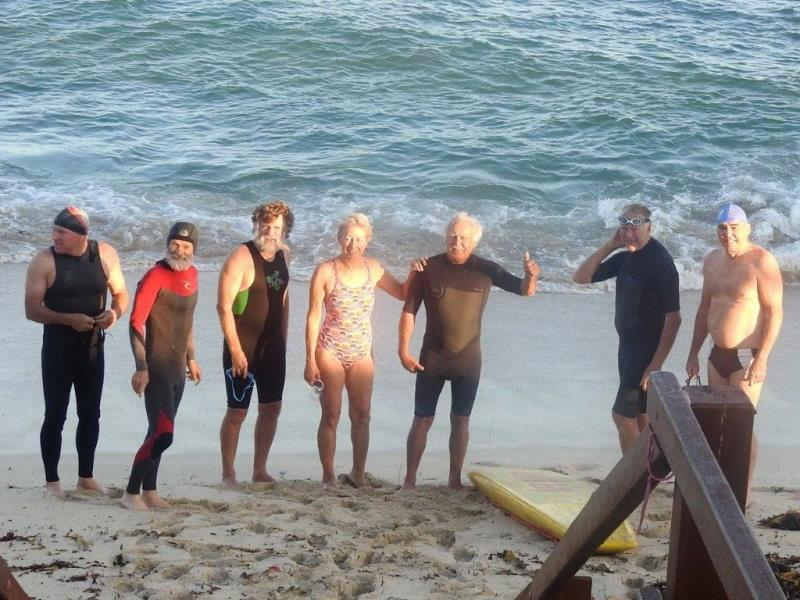 Mike and Julie reported that Saturday April 8 was an absolutely beautiful morning with a gentle 2-3 foot swell rolling in for the annual Mollymook Ocean Swim Classic. The water at the start was crystal clear. 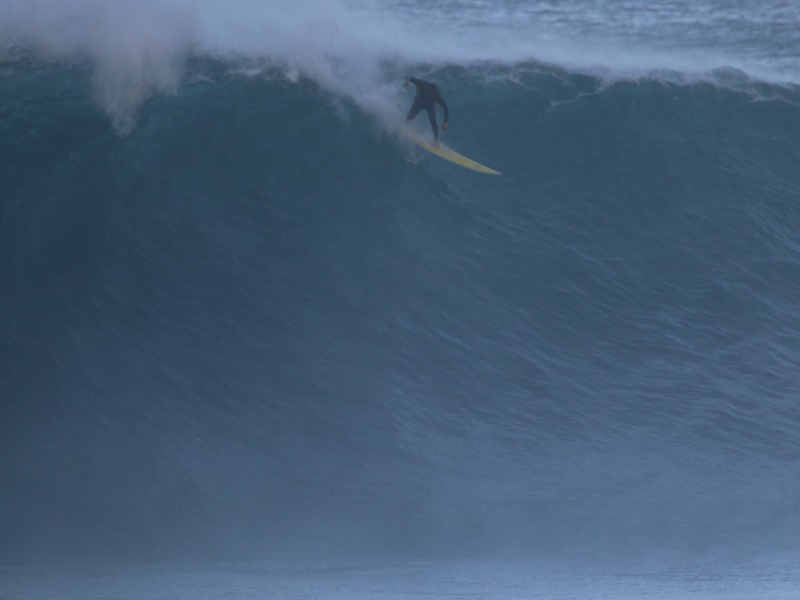 A short sprint, a few small waves to negotiate then into the blue water. Awesome results from the local molly swimmers with Gary Jenner and Helen Gray winning their age divisions with great swims…congratulations!!!! The rest of the Mollymook contingent were indescribably brilliant on the day filling all sorts of non-consequential finishing positions…..but all finished !! Volunteers stepped up again in a big way from water & watermelon tents, timing, BBQ, water safety, etc etc…and a massive well done to Rossco on a successful day. About 200 competitors took to the water and the winning times were very fast indeed. Ken Banks alter ego (Stand in photographer Julie, replete with striped shirt) had to sprint back down the beach just to get to the finishing line before the winner Jarrod Poort tore up the beach to win. The Women’s winner was Lily O Sullivan in a fantastic time. Sponsors. Roscoe made special mention of the tremendous response they had received from so many sponsors with a special thanks to the Ulladulla Ex-Servo’s club for their on-going support. 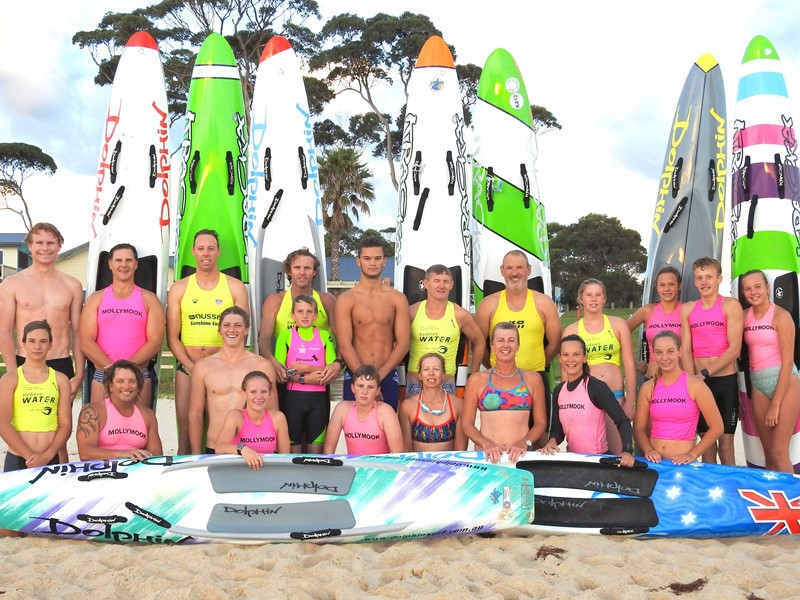 Tony Ireland has created a beautiful pictorial of the Mollymook ‘Swim Board Ski’ squad in which I have been able to assist with a variety of images. Herewith are just three of over 130 images. Tony has a nice story flow throughout. It will have a 300 gsm soft cover and the printed pages on quality 150 gsm glossy photo paper. It features a number of our ocean swimmers, viz. Benny, Ed, James, Simone & Robbie, Darryl, Tracy, Cheryl to name a few. Tony is presently compiling a list of names of those who would like a copy. He expects that it will be just a single print run for precisely the number pre-ordered. The cost per book is $20. (Some are ordering multiple copies to give as a gift to grand-parents, copy for self and a copy for their siblings for a momento) Among the swimmers, I have ordered 5 copies and Billy R. has ordered 2 copies. Should any other swimmers (or anyone you know) want a copy then let Tony or I know by this Sunday April 9. Tony will then arrange for the number of books to be printed. I would highly recommend a copy which show cases Mollymook from this unique aspect.